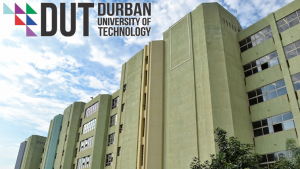 The Durban University of Technology (DUT) says it has reached an agreement with student representatives to resume classes on Monday. The institution was shut down more than two weeks ago due to violent protests. The protests claimed the life of final year student, Mlungisi Madonsela, and two staff members were injured. One of them is still recovering after undergoing surgery. Students were demanding the unblocking of more than 1 400 students as well as accommodation. The university says it has now obtained a court interdict prohibiting any protests near its premises. Efforts to get a comment from the SRC have been unsuccessful. “We of the view now that with the agreement that is jointly signed by the representative of the SRC and the management that Monday will happen but a court interdict is just a precaution. We have had to make sure that all other opportunistic elements that might be there from the public are addressed that is why we have this court interdict,”says DUT Vice Chancellor, Thandwa Mthembu. The post DUT reaches deal with SRC appeared first on SABC News – Breaking news, special reports, world, business, sport coverage of all South African current events. Africa's news leader..